Some of you may know how I love my Urban Decay Eyeshadow Primer Potion (UDPP). I have reviewed it here. I used it each time before I apply my eye shadow to make sure that the color stays intact the whole day even after my exercise. I used my UDPP since April 2010. It was a 16.3 ml tube. 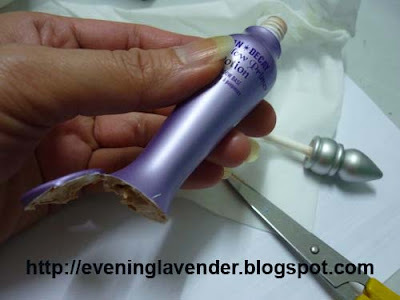 Recently, I could hardly get any product from the tube and so I decided to conduct a "surgery" on the tube to see whether I can escavate any products from it. To my surprise, I managed to dig out 7ml of products from the tube! I used a Clinique 7ml container to store the product and there are still some remainder in another container. 7ml is actually slightly less than half of the products in the original tube. What a waste if I actually threw it away. Thankfully, I did the "surgery". So, if you have a UDPP tube that you don't seemed to be able to get any product from using the wand, I suggest that you try this out. 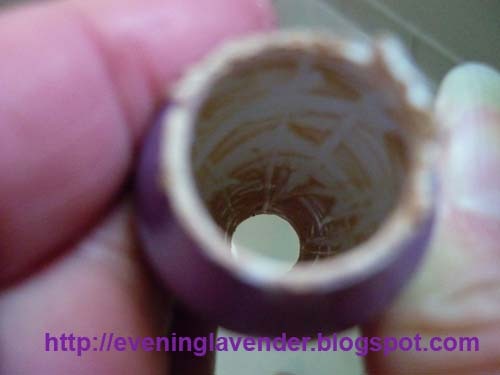 The tube is actually very hard but the bottom part is thinner. I saw a small crack and used my scissors to cut it open. It is quite an exciting operation. 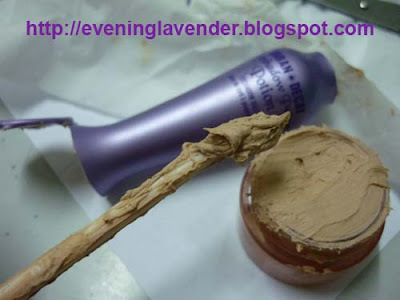 Now, I use a flat brush to pick up the product and apply it on my eyelid. This method is working fine for me. Sometimes I used my finger to even out the product on my eyelid. Have anyone of you tried this operation before? Do share. 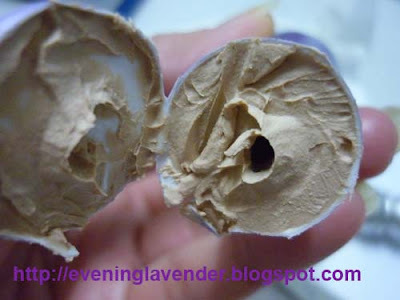 Is this product really amazing?? I wanted to buy but not really sure of the quality ^^.. Yes, This is the best primer ever. 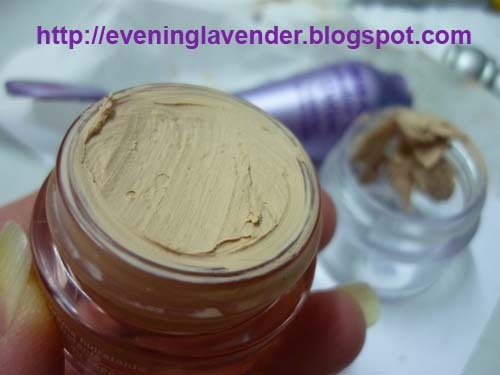 Great for super oily lid like mine. Eye shadow never crease after more than 12 hours and after workout in the gym. I love this product too! Like you, I don't like the bottle, we never know how much it left. I believe they came up with new bottle/tube which is better! wahhh can stay on even aft make-up?? I must try too! I luv urban decay - bought their eyeliner!